Share the brilliance of the Christmas season with this beautiful star. Add it to cards, gifts, décor, etc to brighten someone’s day. It is available in Clear-mount only and is $16.95. CLICK HERE to purchase your Christmas Star stamp. I have made this card using Bermuda Bay and Silver Glimmer cardstock. 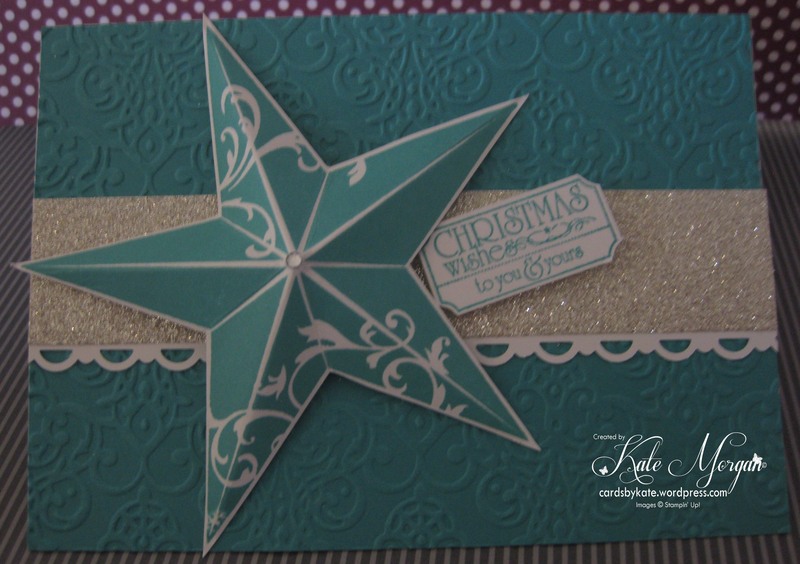 Tagged Christmas, Christmas Star, Stampin' Up!